Nur Kabir is among 70,000 Rohingya who have fled their homes amid state-backed violence in Myanmar in Bangladesh since October. 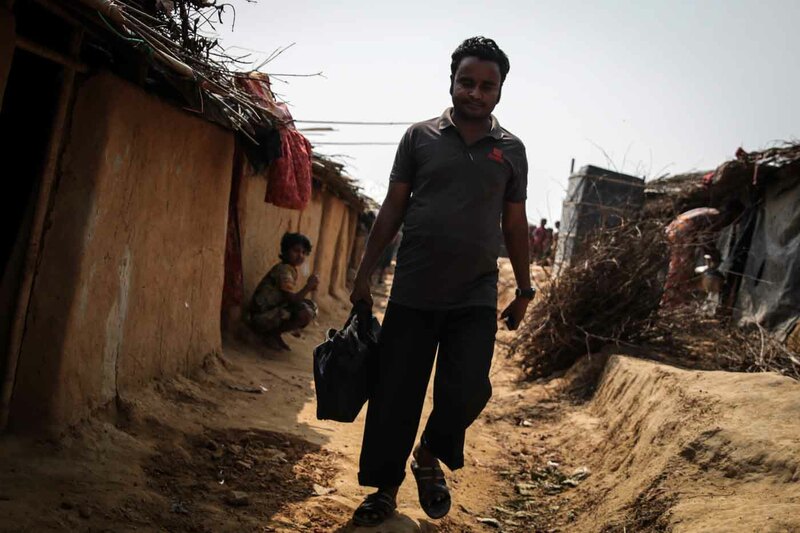 He is also a respected doctor in the community who continues his work while living in Bangladesh's Kutapalong refugee camp. His phone is constantly ringing with patients asking for his help. Nur Kabir lives in Kutapalong refugee camp, which is home not just to the recently displaced, but Rohingya who have lived here for many years. 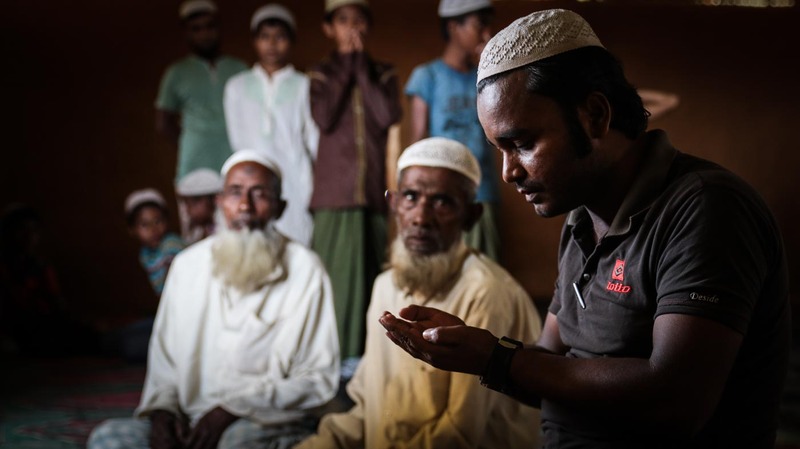 As a muslim minority group within Buddhist majority Myanmar, Rohingyas have faced persecution and marginalisation for decades - the 70,000 that have fled to Bangladesh since October are just the latest wave of arrivals. 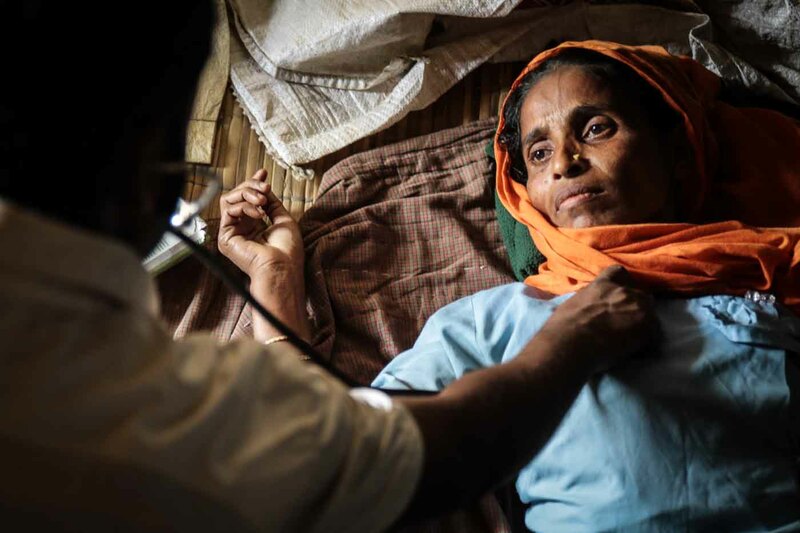 Nur Kabir sees on average 30 patients a day, with malaria and cholera among the most major problems faced by the Rohingya community. He also fears the spread of typhoid with the arrival of rainy season in April. Nur Kabir tends to Rucia Begum. 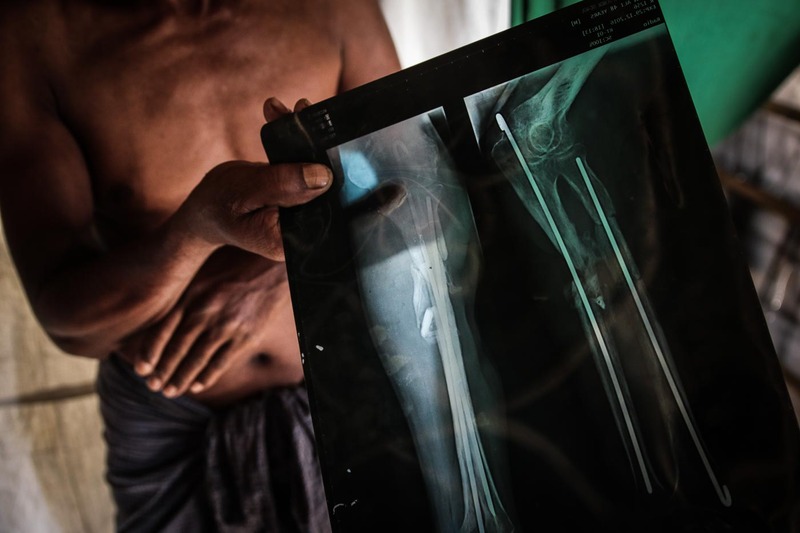 He must work with very limited medical supplies - some of which he brought with him when he fled a military attack on his home village in Maungdaw, in the northern reaches of Myanmar's Rakhine state. Some of the medical issues faced by refugees in the camp reflect the recent trauma of the past. Petam Ali says he was shot in the arm by the Myanmar military while he fled his village. The wound was full treated in a hospital in Bangladesh, but Nur Kabir - who was there at the time - explains he helped bandage the arm, and improvised a splint for it. Nur Kabir does not know when he and his family will return to Myanmar. 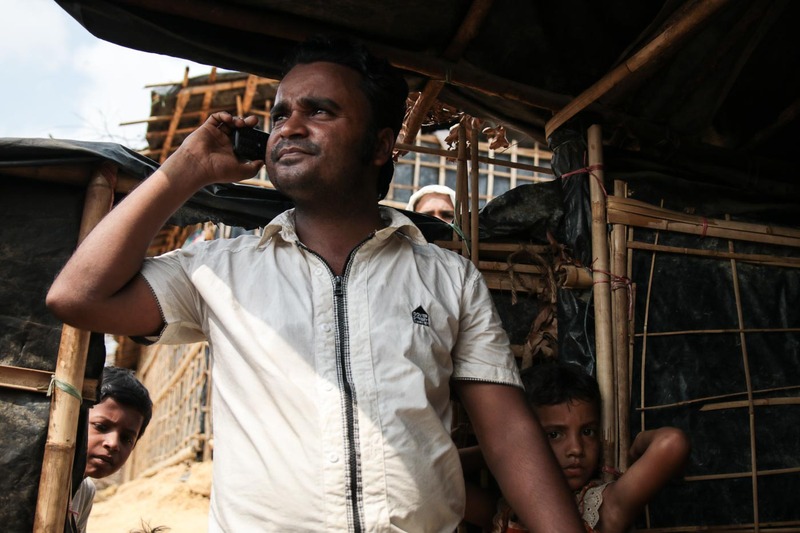 Due to the long-running persecution of the Rohingya some have lived in Bangladesh for decades. As Nur Kabir tends to Sona, who recently suffered a miscarriage, her children look on. After he finishes work, Nur Kabir has his own family to care for. 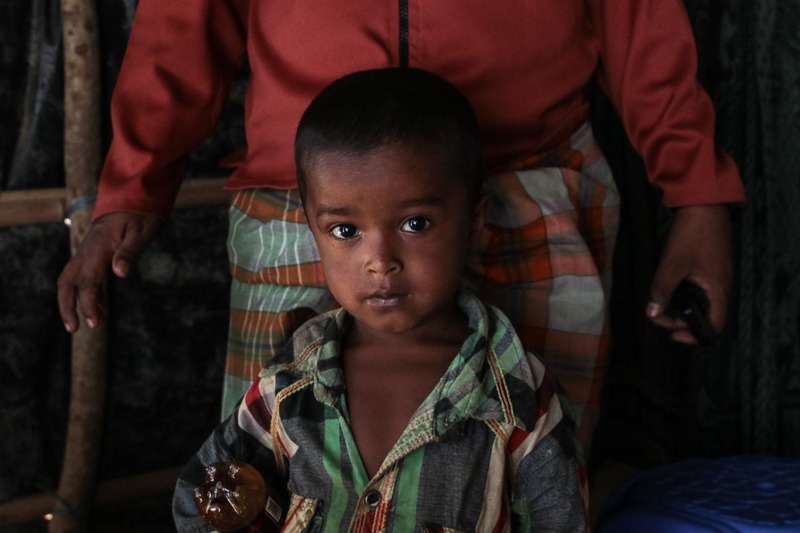 His son, Muhammed (pictured), is one of five children and Nur worries for the future of the Rohingya people. 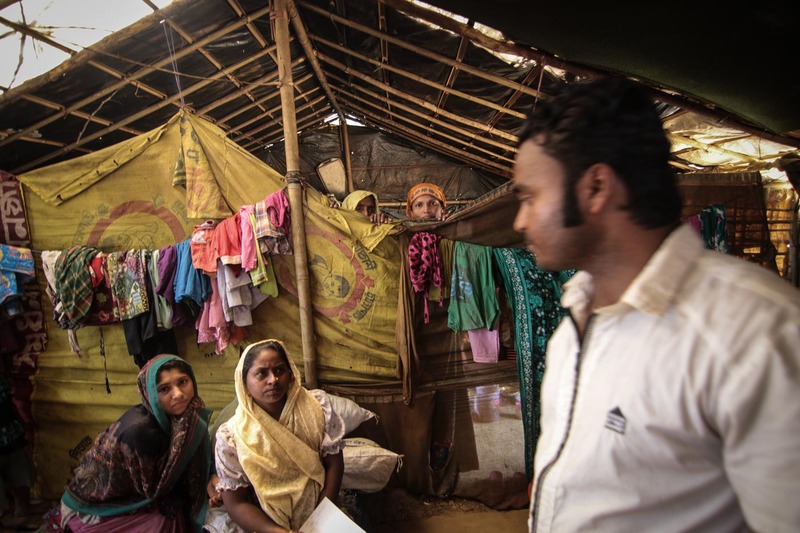 While Nur Kabir is a respected doctor in his own community, to the Bangladeshi state is another displaced person without citizenship. 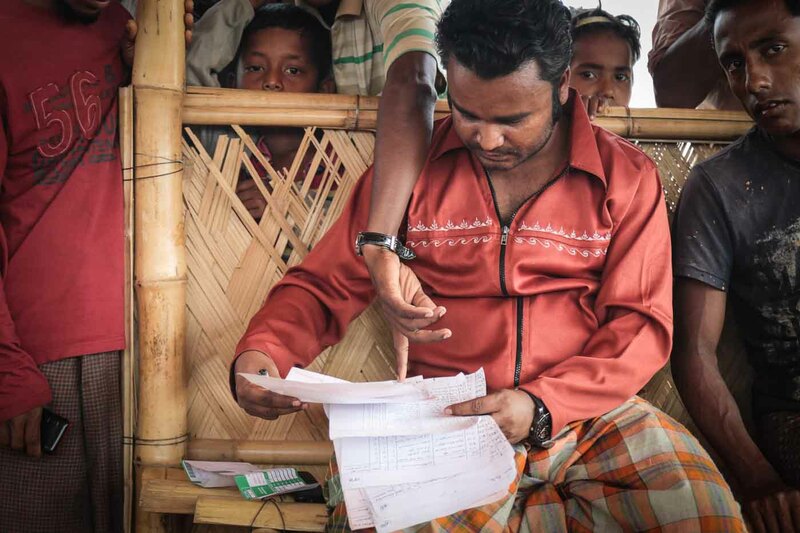 Here, Nur receives help filling in personal details for a census of the newly arrived Rohingya put together by the Bangladeshi state. There is uncertainty to what purpose the information will be used. In recent months, leading figures in the Bangladeshi government stated they wanted to move the Rohingya to Thengar Char, a largely inhospitable island plagued by pirates and flooding. Away from work, Nur Kabir prays in a mosque built in the camp. The Rohingya community have been the target of discrimination not just by the state in Myanmar but also - among others - ultra-nationalist Buddhist monks, who label them Bengali immigrants, despite a long-stranding presence in Myanmar.